For over many years, the use of lift trucks remains a common practice, and they are available in several forms. However, the most common one is the counterbalance type, where the weight at the machine rear counterbalances the entire weight of the load. In the year 1986, the person behind this smart invention was Cecil Moffett of Ireland, Clonibret whose mission was to invent the unique Moffett truck. Eventually, this gave rise to the new concept following a somewhat lightweight lift truck, to ride on the lorry back without even taking any much load space. Technically, this machine works on the counterbalance principle, where the wheels move forward right under the load, which means the fulcrum point, may be further forward, reducing any need for heavy counterweight. Therefore, you may be wondering, what are the benefits of different truck mounted lift trucks. From experts at Moffett, here are some of the top ones. If your customer or you don’t have a single lifting vehicle on the site, most chances are that you may have to borrow a suitable one from a local company or even consider hiring one. In order to borrow such a truck, it is not always easy and this may come with several attached strings. If you hire one, this means you will also need to hire a well-certified operator. Keep in mind that also, a truck-mounted machine may be one that a lorry driver could also operate, hence, there is no form of wasted labor, and this comes on the back of the lorry delivering. This removes the collection and delivery costs to hire a separate machine in and it halves all the labor costs. For various sites that have no lift trucks, usually, the only way to unload goods is by hand. In this case, manual lifting, or relatively light lifting of loads from the lorry bed may result in injury and strain, providing you and the people around with difficulty when it comes to staff taking time off when they are sick, or may pose HSE prosecution. Note that time is money and when you have a lorry in any yard or site, this can prove to be a big inconvenience in a few situations. Note that unloading goods manually is something slow, but with a Moffett, it is easier this reduces your time to unload and speeds up the entire process. In rare situations, there may be not enough room to get a lorry of a particular size. At such times, these lifting vehicles can serve this purpose and allow you to move easily through narrow areas in the warehouse. With a crane lorry, you may not be able to do this and it could be difficult for you to do it with a pallet truck. Another impressive quality of a lifting truck is that it’s possible to drive them through even the roughest or loose terrain. 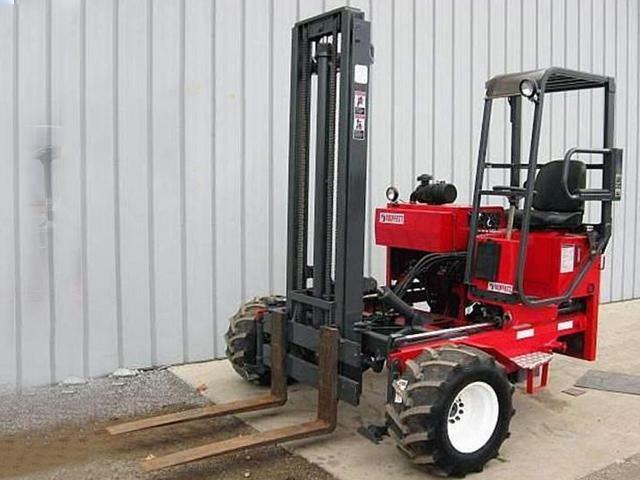 At Moffett Truck, our Moffett machines are durable and come with the right features your warehouse needs. They can tackle the roughest terrains and enables you to put goods where needed, directly. It also reduces any need for re-positioning and manual lifting later. For further information, please get in touch with us now.